and yet the one that offers the most variety!" "I really love the attention to detail in order to provide an unforgettable experience to the attendees!" "Friendly, cozy with a splash of crazy. One of my favorite event!" setting, great instructors and winter adventures!" "Everything is on point and organized! I'm looking forward to the next one!" and created friendships with people from all over!" 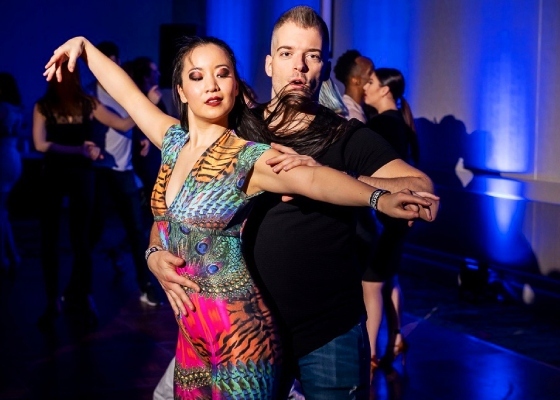 Nixmotion was the best salsa event I ever attended!" 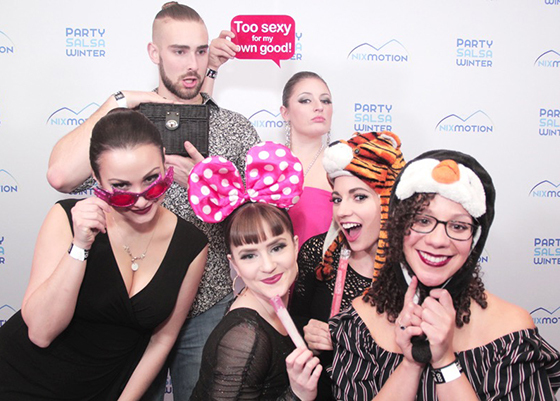 "Nixmotion is extremely action packed and very organized"
Nixmotion is 3 days of creative Latin entertainment while enjoying the pleasures of winter! We’re all about having massive fun and providing a unique salsa experience. The partying, the dancing and the feeling of being part of something truly unconventional, welcome to Nixmotion! Nixmotion 2019, it's a wrap! The energy level was up the roof, as you will see on the pictures from our saturday photo booth, enjoy and tag your friends! You have kept our snippers quite busy this weekend! Check out the pictures from our main photographer, Adam Frehm. We have immortalized all performances from the evening showcases as well as the New Swing Sextet concert.